(3BL Media) Greensboro, NC - April 30, 2012 - The Greenspiration Home in Greensboro, NC has earned Leadership in Energy and Environmental Design (LEED) Silver Certification from the U.S. Green Building Council (USGBC). The private, custom-built home of Trish Holder and Mark Raines is the first LEED certified home in the Piedmont Triad region of north-central North Carolina. The home is one of just a handful of LEED certified homes in the entire state. It has been a long journey for Trish Holder, who acted as the LEED project manager throughout the process. The Holder-Raines couple registered the home for LEED certification in October 2008 while it was under construction. They have been living in the home with their two children since it was completed in January 2009. Part of Holder’s goal included being the first single family home to be LEED certified in the Piedmont Triad, an area that includes three of North Carolina’s major cities, Greensboro, High Point, and Winston Salem. Holder never dreamed that after four years they would still manage to be first, but a prevailing lack of consumer awareness about LEED and a weak construction market helped to hold their place in line. Even if the awareness was there, few builders or homeowners are up for what is arguably the toughest green building standard out there. In 2008 when the Holder-Raines family began building the Greenspiration Home, the process was even more challenging. Few builders, much less sub-contractors, had even heard of the USGBC or LEED certification. That made finding suitable, enthusiastic partners for the project difficult. LEED certification requires the involvement of multiple parties who take on key roles in the certification process. This includes an accredited Green Rater who has direct exposure to the project and a LEED for Homes Provider organization that serves as the liaison between the Green Rater and the USGBC to make sure all documentation is in certifiable order. While Holder frequently put LEED certification on the backburner, developing Greenspiration Home into an educational resource for homeowners became a high priority – if not an obsession. Over the last few years she has given hundreds of people personally guided tours of her home, speaking candidly about her experiences building green, both good and bad. She has also spoken at numerous events including the National Association of Environmental Law Societies (NAELS) Conference hosted by Vermont Law School. But most of her energy has been poured into www.greenspirationhome.com, an online publication she and her husband created to help homeowners navigate the process of building or renovating green. “It’s like Better Homes & Gardens, only more technical and without the recipes,” said Holder. Content includes anecdotal lessons about everything from a home’s heating and cooling system to sustainable floor coverings. Informed guest bloggers write about their own personal green building and renovating experiences. The site gets thousands of visitors each month, many of whom return again and again. It is a fitting distinction given that the LEED certification process of the Greenspiration Home was instigated and driven by the actual homeowner. “Getting LEED certified is gratifying because we worked so hard to get here. But this house, and all we have done with it to educate consumers, far exceeds what will be inscribed on a plaque,” said Holder. The LEED for Homes certification program provides the framework for independent, third-party verification that a particular home complies with the LEED for Homes Green Building Rating System as developed by the US Green Building Council. 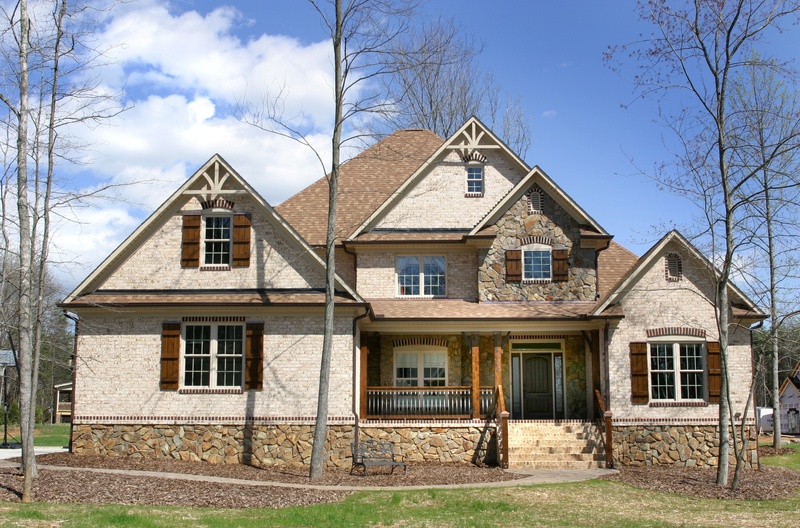 Greenspiration Home is the first single-family home to achieve LEED certification in Greensboro, NC.